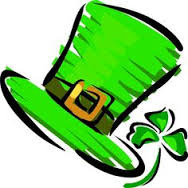 The Allentown St Patrick's Parade is sponsoring a poster contest to create the 2019 Parade Poster! The 1st Place 4th-8th grade winning entry will have their poster displayed in the 2019 Parade Program Book and will be invited to attend most of the Parade Events! The contest will have two age entries: 1st-3rd grade and 4th - 8th grade. Each entry will be judged on originality, artistic merit and expression of theme. 1st, 2nd, 3rd and Honorable Mention will be awarded in both age groups, and all winning posters will be displayed in the 2019 Parade Program Book! Rules: Only one entry per person. All submissions must be 8x11. Crayons, Markers, colored pencil or paints may be used. Work must be original, no tracing or duplicated images. No 3D or glitter. Poster MUST HAVE WORDING: "2019 Allentown St. Patrick's Parade" within the poster. 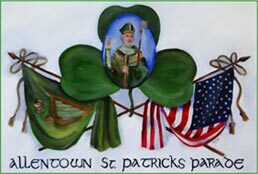 Artwork becomes the property of the Allentown St. Patrick's Parade Committee. To have time to Go to Press ALL submissions must be sent to Out of Our Minds Art Studio 65 Lea Street, Macungie PA 18062. (or call for pick up) ON OR BEFORE: DEC. 1st 2018. Congratulations to the 2019 Poster Contest winners! We thank all the children who submitted entries this year, and admit that it was very difficult for the judges to make the winning selections. We also thank the Art Teachers, Principals and Teachers who provided time and guidance for the children to participate. 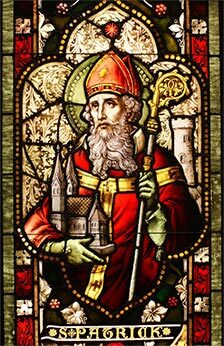 St. Patrick is proud of all of you!